Evan Kovacs is currently working with the Advanced Imaging and Visualization Lab at Woods Hole Oceanographic Institution which has had him filming with the deep submersible ALVIN, the ROV Jason and elsewhere around the world. Currently he is working with the lab to develop the next generation of 3D and 2D cameras and shooting techniques for topside and underwater imaging. During the past 5 years of collaboration with AIVL, Evan has helped build numerous stereoscopic imaging systems and used them to film for museums, archaeologists and Institutions across the world - both above and below the water. Evan Kovacs started his filming career in 2002 on the History Channel's underwater adventure series, Deep Sea Detectives. 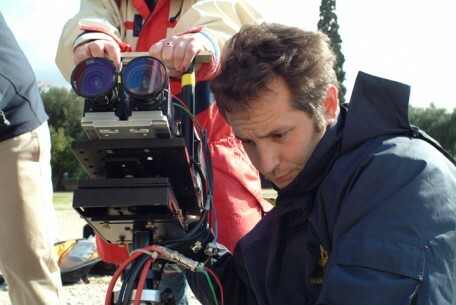 Evan worked on over 30 episodes of ‘DSD’, starting as assistant cameraman and working up to lead underwater cameraman. His work can be seen on National Geographic, History Channel, Discovery Chanel, NOVA (Emmy nominated for videography in 2009), CBC, NHK and elsewhere. Evan has been diving for over 18 years and technical diving for more than 15. During that time, he has had the opportunity to dive and film wrecks, caves and archaeological sites across the US, along the islands of the South Pacific, the English Channel, the jungles of Mexico and the Dominican Republic, the D-Day beaches of Normandy, the Mediterranean, Thailand and others. Evan was fortunate enough to be one of only several people that have filmed in 3D both the RMS Titanic and her sister ship, HMHS Britannic. Evan and Becky Kagan both work with the Advanced Imaging and Visualization Lab at Woods Hole Oceanographic Institute and shared in the filming responsibilities on the Woods Hole expeditions. Evan, who was originally going to introduce the 3D presentation will be filming in Saipan at show time so we have been fortunate to get an Emmy Award winning videographer Becky Kagan to take his place. For more details on the 3D presentation see Becky Kagan’s speaker page.